“I recall the late 80’s”… my brother begins… “and early 90’s … where burning tyres… running from cops… throwing stones and teargas canisters was what school was all about. Youth fought with rage for the freedom of our country”. It’s 26 April 2010 and after a leisurely supper, discussing all sorts of things, our conversation somehow turned to our schooldays. I recalled many days where Muneer arrived home breathless, recounting his day’s experience of attending some rally and the drama that usually unfolded. In recollecting the events of that period, Muneer explains how rallies were arranged by the SRC between schools where a speaker representing the ANC, UDF or Cosatu were normally hosted. Students from surrounding schools attended the talks and although urged by speakers to avoid any form of violence, it was almost impossible to avoid as rallies dispersed. It just took one student to start some action then all hell broke loose. Soon … yellow casper vans were everywhere and this meant dodging rubber bullets, birdshots, teargas canisters and batons. “We burnt tyres, wore gloves to throw hot teargas canisters back at cops, protected our faces with scarves and balaclavas from the zoom lenses” he recalls. “Somehow, there were always informers” so you’d find cops parked out early morning or surrounding the school even before anything happened. Helicopters often landed with cops jumping out armed. Those who were unfortunate enough to be identified would find themselves randomly snatched from class on normal schooldays . “You ran for your life” and often found refuge in some unknown aunty’s home who called you in. “They also used these water canons with purplish water sprays that stained you for about two weeks”, mainly to identify youth involved in unrest a day or two later. Those who got caught were beaten to a pulp and left somewhere or further interrogated before being released (should you have been so lucky). “I think things in Joburg was a bit worse” he continues, thus the Soweto 7 and Sharpeville Day. “Protesting for us meant an avenue to express our deep unhappiness “ of the injustices of the system back then. Although indirectly supported by teachers and even parents, it was youth who mobilised amongst themselves … bravely taking action in any way they knew how to express themselves. Our discussion continued for some time and I couldn’t help but ponder on the immence power of youth …united by a common goal and dream. Today… we are living that dream and I personally commend those youth, along with every man and woman, who fought bravely for the injustices they felt and experienced. 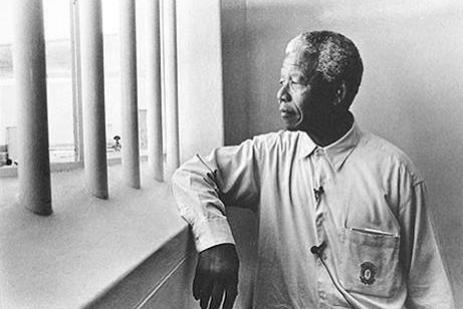 In celebrating Freedom Day… and although we’ve achieved much since then, I think its important to note that the dream has not (and should not) end… there is still much we can do. Today we just have a different dream in uniting through our diversities to continue building a prosperous South Africa for all. Youth of the 80’s and 90’s should serve as a reminder that, through unity, all dreams are possible. This caused a call back the past for me as well.. Sjoe cannot believe I was such a valium that time. All the action normally took place at Sinton High School.. Amazingly enough if you look at the teens of today, they actually cause their own mental violence by using drugs and other substances, I do not think they will be able to master what those teens did in those days. The youth of today does not have the backbone to even stand up for themselves let alone fight for freedom. Everything they have is handed to them and they subsequently do not appreciate anything. Love the pic buddy....by the way the book. "Long Walk to Freedom" was a brilliant read. WOW, what a eye opener...I was'nt even born then...we don't always realise what you guys went through...respect.